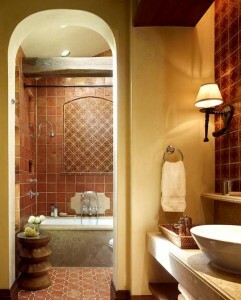 Bathroom is the place where you find your privacy and comfort. After a stressful and tired day, we all want some relaxing time with maximum comfort and bathroom is the only place where we can enjoy our freedom of being alone with full of relaxation and comfort. 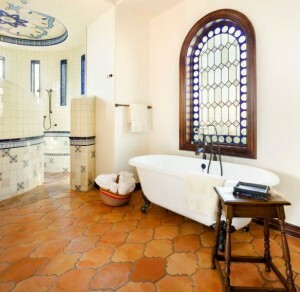 Therefore we all want our bathroom to be like heaven which is both beautiful and comfortable. Choosing the right flooring material for our bathroom in perfect color and texture is critical as it is a very different space than other floors, when consider its functionality. Tile is the only material recognized as the best option for bathroom flooring in whole world. Although there are some other few options available to choose from such as stone, vinyl, and laminate, they are not good as tiles in terms of being waterproof. Choosing the correct material for bathroom floor is far different from choosing the flooring for other areas. Since it is water prevalent, if you choose the wrong material water will quickly ruin your wrong flooring. Therefore whether you want a classic, modern or designed bathroom you have to be careful about the material you are going to use for your bathroom in terms of its durability, cost and style and more importantly being water resistant. Tiles have all these features plus range of products available in different colors, shapes and sizes which allow you to customize your bathroom according to your preferences. Considering all of these it is clear that tiles are the best for bathroom room flooring and no other choice. So now you have selected the tiles as the bathroom flooring option. Then which tile is best and which one can make your dreams come true. No confusions. 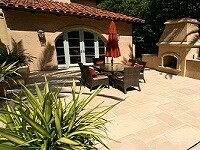 Saltillo tiles are one of best tiles available in the world which are more stylish, durable and hand crafted. Also it has all the essential features for bathroom flooring such as being water resistant, slip resistant, easy to clean and long lasting. Also you can customize your bathroom by adding wall tiles that are perfectly go with the floor tiles in order to enhance the look. Saltillo bathroom tiles are available to choose from three finishes as Traditional, manganese and antique. 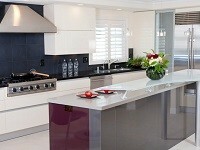 Each Finish has its own colours that perfectly go with ultimate finish. If you love to give a traditional look to your bathroom you can choose warm colours such as Red, Orange, Yellow or Golden shade according to your dream. If you want them to be in more antique style, try using dark grouts. Manganese finish will be ideal for those, who want to give a modernised look to their bathroom.